We here at the Sports Script are in a giving mood. We want to award one of our fans/followers a chance to win a prize. How to qualify you ask? 1. You have to do is tweet this out or Retweet any of the Chris Davis contest tweets we throw up. 2. You have to be following us. 3. You reply to the tweet with how many HRs you think Chris Davis will end up with this season. 4. The deadline is Sunday July 7th. Who ever gets the answer correct gets to win an awesome prize from us. The month of June, I nailed a whopping 1 out of my 5 predictions. Man I should quit my day job and become a psychic or something. Today I make another awesome attempt at predicting what will occur in Baseball, during the month of July. The Detroit Tigers will fall 5 games back of the Cleveland Indians. The Tigers continue to struggle due to their bullpen, and they don’t seem to feel the need to fix it either. They need to be out here trying to trade for any available arm. They’re ranked in the top 4 in Runs, Batting Average, On Base Percentage and Slugging Percentage in hitting. 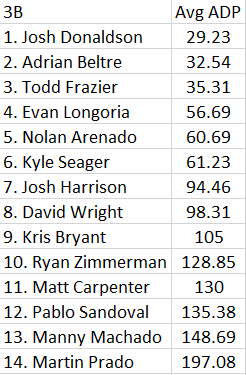 Their Pitchers rank 9th in ERA, 2nd in Quality starts, 7th in WHIP, and 9TH in BAA. Which is pretty good but they are only 6 games above .500 and are currently tied for 1st in the Central with the Indians. The Indians have won 7 of 10 and are on a roll right now. Look for them to edge control of this division for the month of July. Yasiel Puig struggles and hits under .250. Puig-mania has been a really fun surprise to watch as a baseball fan. This guy is going to struggle at some point though, and I think it will happen soon. He is a very high strikeout guy and that is going to hurt him. His BB and K percentage is an awful 0.20. I am not saying the kid isn’t going to be a star in the future but we’ll be stopping the comparisons to Trout and Harper after we see him struggle this month. They have the Red Sox, Nationals, Rockies, Giants and Cardinals coming up over the 1st half of July. To think they will finish in 1st place to end the month, I would be crazy right? Well folks I think I am! This team will win their fair share of those games and then stand tall in 1st place at month’s end. Cliff Lee will be traded to the Rangers. The Rangers were 14-14 for the month of June. Yet they sit atop of the West, 14 games over .500, but with a slim .5 game lead over the A’s. The back-end of the rotation has struggled this year. Even though Grimm is 7-5, he has a 5.56 ERA, and Nick Tepesh has a 4.71 ERA. Adding Lee would not only solidify this rotation, but I think it would make them favorites to represent the AL in the World Series this year. A 1-2-3 punch of Darvish, Lee, and Holland would be great for them heading into the postseason. They need to make this trade happen. Michael Cuddyer is going to flirt with history. Cuddyer, who currently sits with a 27-game hitting streak, will approach 50+ games in his hitting streak to end the month. Cuddyer has been on fire over the course of this streak and I look for him to continue this through July. If he plays in every game of this month the streak will be at 54 games entering August, which would only be 2 games shy of Joe DiMaggio’s 56 game streak. The O’s will take over 1st place and the Red Sox will stumble into last. 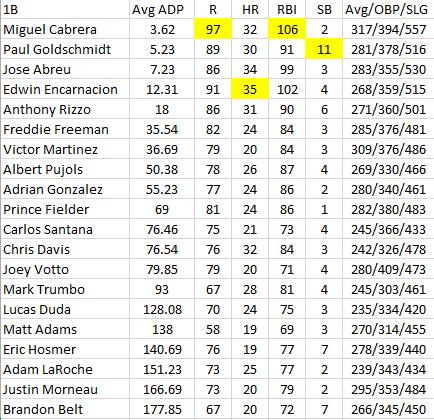 Miguel Cabrera will overtake Chris Davis in homeruns. We will finally get the No-Hitter I have asked for. 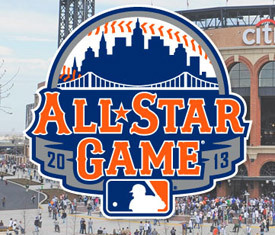 The All-Star break is right around the corner and will be hosted at Citi Field, home of the New York Mets. This week the captains were named for the 2013 HR Derby. They were David Wright for the NL and Robinson Cano for the AL. I believe it’s kind of funny that Cano is the captain considering he hit a big goose egg in last year’s competition. I suppose they wanted to do the whole New York vs. New York with picking these two. This may be one of the least successful HR Derby’s to date. Citi Field is known as a pitchers ballpark and the stats really back it up since it open in 2009. So as you can see, it will be interesting how some of the players fare in this year’s derby. We might be in line for an uneventful derby if the stats hold true. Now to get to whom I think Cano/Wright & the fans should pick for their teams. First off, whoever nominated these players should be fired. You’ve got guys on this list injured as well as guys who are playing just terrible this season. AND WHERE IS DOMONIC BROWN????? Well fans, look no further than my list of players below. You may have to write some of them in, but these are the guys that DESERVE to be playing in the HR Derby this year. 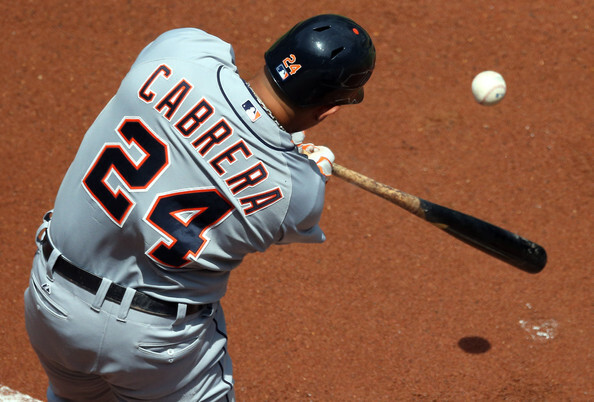 AL – Obvious choice for the team is Miguel Cabrera, who appeared for the Marlins in 2006 (finished 3rd) and in 2010 for the Tigers (finished 4th). I do not see him appearing for the AL this season though. Then there is 2-time winner and reigning champ Prince Fielder, who I think is more likely to be on the team. This would be his 4th appearance and he currently has 12 HR’s & 54 RBI’s this season. Of course the champ has to defend his title! The easiest choice of them all? Chris Davis, who is on an unbelievable tear that no one saw coming. Davis currently leads the majors with 25 HR’s, and is 2nd in RBI’s as well as 5th in BA. So Chris should be a sure fire pick to be on the team. So far we have Cano, Fielder & Davis. My last pick would come between Blue Jay teammates Edwin Encarnacion or Jose Bautista. Baustista has appeared in the last 2 HR Derby’s, so I would think that he might get the edge. I want to see some fresh faces in the Derby though this year and who better than Encarnacion to have in it. He currently has 19 HR’s and has 21 more RBI’s than Bautista does. So my AL roster would be Cano, Davis, Fielder & Encarnacion. Now for my NL picks. NL – The #1 pick of this team should be Domonic Brown. I am biased towards the guy because he plays for my Phillies, but there’s no one more deserving to be on this team than he. 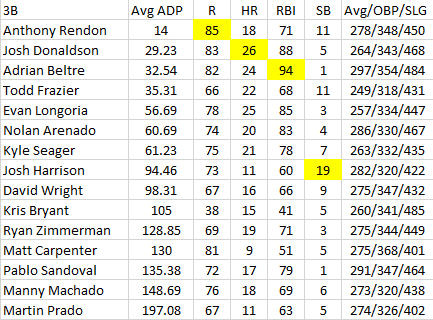 Domonic currently is 2nd in the NL with 19 HR’s and much like Davis, has been a very nice 1st half surprise. My 3rd pick would have to be Justin Upton. Even though he has struggled a lot in the month of June, he is still 4th in the NL in HR’s with 15. I think he would be a perfect choice to have in the Derby. My 4th and final choice is Paul Goldschimidt, who is 3rd in voting right this second. This choice would have gone to Harper had he been healthy, but since he isn’t, Paul “My names is from Austin Powers” Goldschmidt, is the perfect choice for this team. He has 17 HRs which is more than Upton, leads the NL in RBI’s, and is currently hitting .304. So my NL Picks are Brown, Wright, Gonzalez & Goldschimidt. That’s all for now folks. Stay tuned for my 2013 AL/NL All-Star article coming soon. Tell me whom you think should be in the Derby and who you don’t want in it.